Adventures of MeiMo is a side scrolling adventure game in one streaming world. There is four scrolling planes that have puzzles that can effect the opposite sides. MeiMo must save his friends from slavery. The best way to describe it is similar to Abe's odyssey with Zelda style way to gain powers to enter new locations. 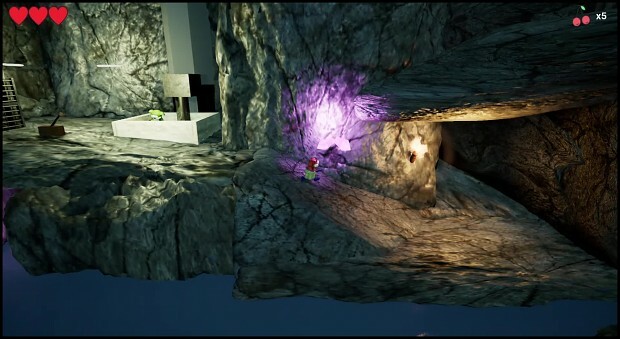 There is also a lot of platform aspects to break up the puzzles as you get your friends out of many different locations. This is a prototype and many of the graphics do not exist or have simple place holders in place while the programming and mechanics get completed. At this point I am more interested in feedback or interest in the concept as this was a hobby project that I am considering fine tuning / Cleaning up and releasing.